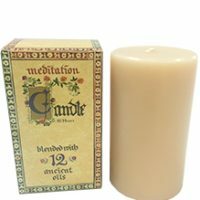 Subtly unforgettable, Meditation fragrance is a harmonious blend of 12 Ancient Oils designed to soothe mind and body: Bergamot, Patchouli, Nutmeg, Orange, Ylang Ylang, Cedarwood, Bay, Lavender; Balsam of Benzoin; Gum of Frankincense; Essence of Oakmoss & Balsam of Tolu. 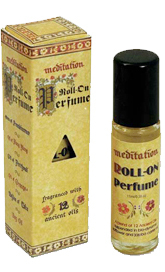 This beautiful perfume roll-on fits neatly into your handbag. 11ml bottle, with slide box. 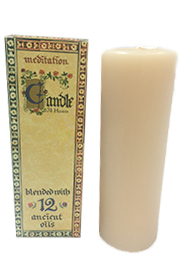 Contains no alcohol or any synthetic chemicals.